A lot of people what DFU mode iPhone 5 is or what DFU mode iPhone 4 is. Have you ever came across the following situation: The iPhone gets stuck in a restart loop, and all you see when you try to use your iPhone is a black screen or the Apple logo would show up hold for a little while and then disappear. We call this problem DFU. What does DFU mean for iPhone? If you don’t know what DFU mode is, let me explain to you. DFU, stands for Device Firmware Upgrade mode, which allows all devices to be restored from any state. As DFU is burned into the hardware, so it cannot be removed. As we have seen above, DFU is especially helpful and useful when you want to fix iOS device which is stuck in a restart loop. What other things can we do with DFU mode? 1. Downgrade iOS to an older version. 2. Performing jailbreak and unjailbreak on an iOS device. 3. Get rid of an expired beta version of iOS. After knowing What DFU mode is, the next thing you should know is how to enter DFU mode. 2. Turn off the device and keep holding the Power button for about 3 seconds. 3. After that, hold the Home and Power buttons for about 10 seconds. 4. Release the Power button, and keep pressing the Home button. 5. 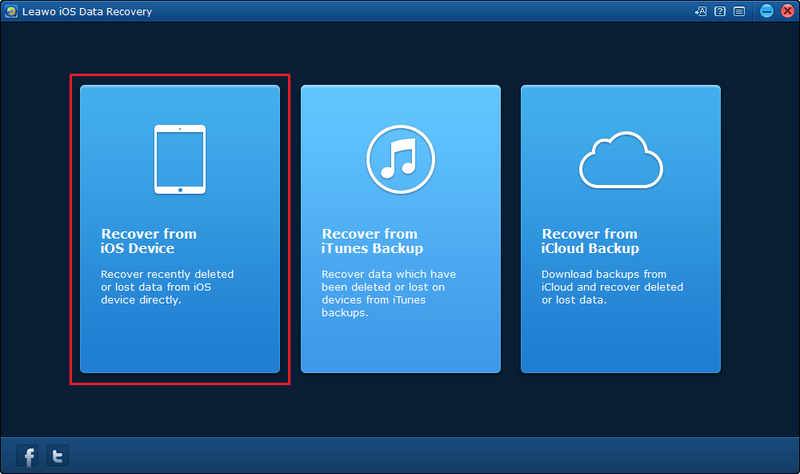 Keep pressing the Home button for about 15 seconds until you see the iTunes indication saying that it has detected a device in Recovery Mode. 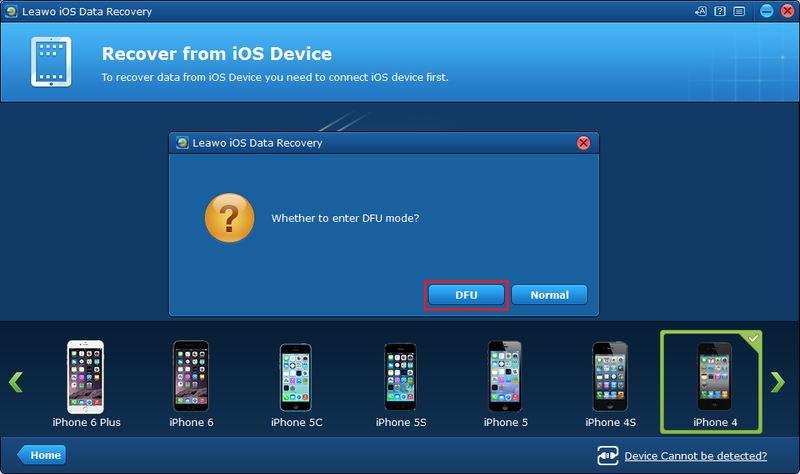 Here are the steps in detail to recover data from iOS device in DFU mode using Leawo iOS Data Recovery. 1. 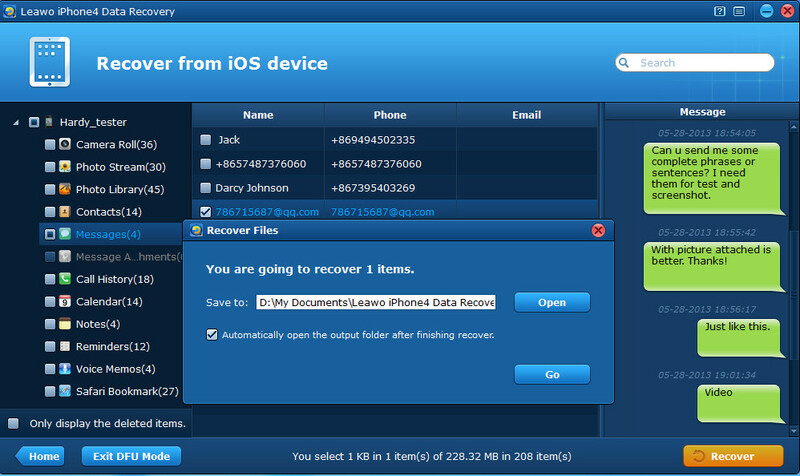 Open Leawo iOS Data Recovery on your computer and select the first tab. 2. Turn on your device and connect it to your computer with a USB cable. A popup would show up and asks if you want to enter DFU mode, click on DFU. 3. There would be instructions on the screen to guide you through the process of entering DFU mode. Just follow the instructions. 4. 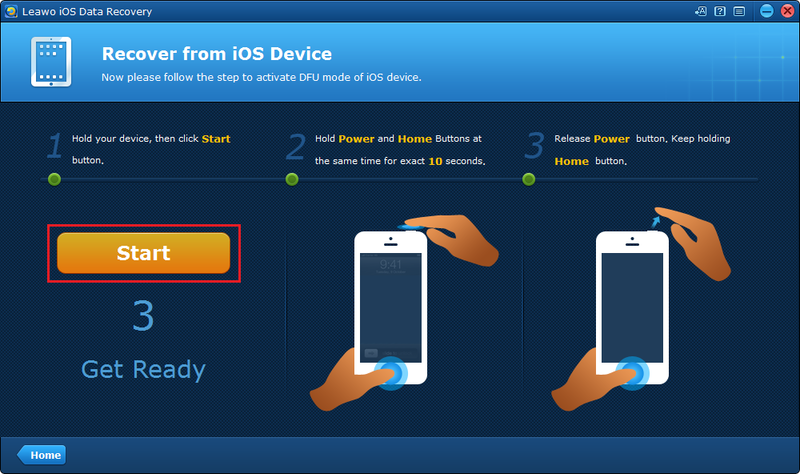 After you enter the DFU mode successfully on your iPhone, the program would scan your device and show all the recoverable data on the interface, select those you want to recover and click Recover. 5. On the popup, set the folder to store the data you’ve chosen and click Go and the program would save them in the folder you’ve chosen. After knowing more about DFU mode, I think you should have the answer to these question: what is DFU mode iPhone 5/what is DFU mode iPhone 4. In order to get rid of this endless loop problem, the best way I recommend is to use the DFU mode. The reasons why most people would use DFU over recovery mode are numerous as we shall see shortly, I am sure. 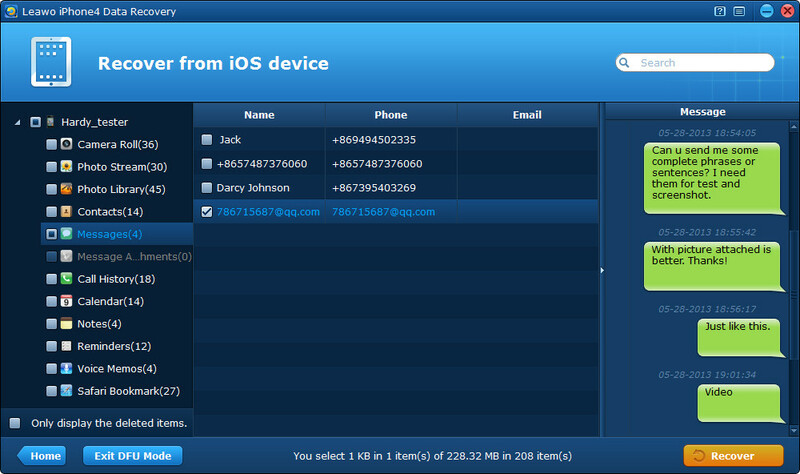 And with the powerful and useful tool Leawo iOS Data Recovery, you would find it easier to use DFU mode.